3 Best Passive Income Streams you can start today. Warren Buffet is one of the world’s known as the best stocks investor in the entire world. However, I will not recommend you to start investing in the stock market today, because it will require a lot of extensive education and a pretty huge amount of investment. This will be covered in my next article. Basically, passive incomes are the profits you can generate while you sleep, as Buffet said. These are the incomes that only require a little amount of your time to keep them going. There are a lot of online businesses you can start today. 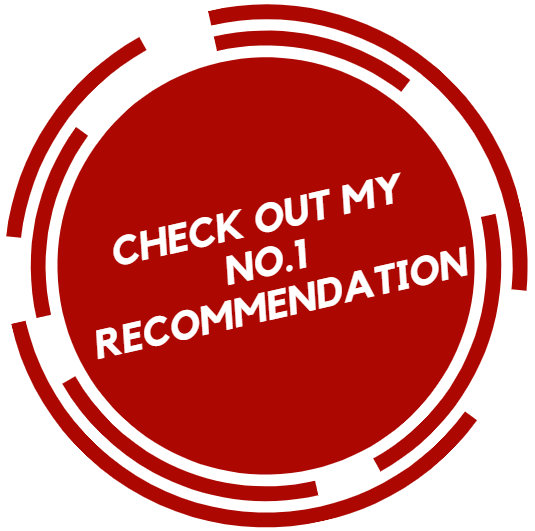 But today I picked only the 3 best passive income streams That I can recommend to anyone who wants to start with a minimal investment. In achieving your financial freedom, you need a source of income that will provide you with freedom of time. 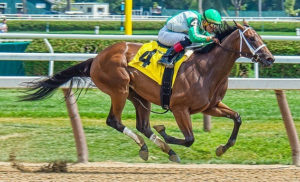 Now, remember that whatever passive investment you intend to get into, it will always require financial and self-educational investment, determination and persistence, especially in the beginning of the establishing process. This principle applies whether you want to establish an online or offline business. If you possess a writing ability – you do not have to be professional – so this perfect for you to create a passive income stream every single month. The potential earning very good that is why this model is well popular for bloggers and content creators all over the online business world. Writing a 100-page Ebook is not that difficult if you have the right tools. Well, Amazon has these tools – you just have to write your ebook on a word doc and you can easily transform it into Ebook as Kindle version. Then your Ebook is ready to go on Amazon or iBooks. Pricing your ebook is, of course, one of the crucial parts. If you, for example, sell a 100-page ebook for $5-&10; through online affiliate networking, guest posting and your own SEO optimized blog, a $1000 per month is very possible. And what if you made 5 eBooks or maybe more? Imagine how much you can generate just as your passive income. Well, writing an eBook is pretty much like starting your own website. Choosing your niche is the most important thing. It can be anything and anything under the sun, but make sure you will focus on the core of it. Logically, everyone has their own expertise or specialties. So you can easily make 3 or more eBooks. The best way of escalating your profit through selling eBook is to sell it to your blog’s follower and other bloggers or email marketers to sell it as an affiliate. The main secret of any marketing, task whether online or offline, is to definitely by connecting with many people as possible – as your main customers or clients. Or as your own business partner through affiliate marketing. And the best way of doing it is by listing your product to marketplaces like Clickbank. Clickbank is the most popular among internet marketers and if you are serious about making money online – you can take their online course step-by-step at Clickbank University – whether as a publisher, partner or affiliate. Clickbank is highly recommended if you want to sell your own eBook online through thousands and millions of affiliate marketer around the world. If you Do not know how or where to start with your own Ebook as one of the best passive income streams, you can start by getting a brilliant copy on How to Write your own Ebook in just 7 Days – it is a step by step guide on how to write, publish and sell your own Ebook – even if you are not good at English writing. 2. Create your own blog and earn affiliate profits. Blogging is much easier than selling your own Ebook. If you want to become an online entrepreneur, your own website or blog site, is your main baseline. This is where you will start engaging with something (your niche) and with everyone (your follower). Choosing a niche or something you will be entirely occupied with is very crucial. You have to be very specific and focused on the core contents. 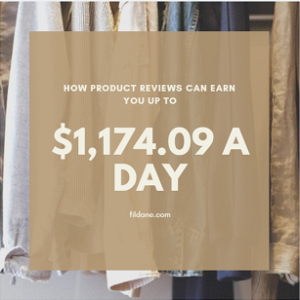 Whether you want to sell your own eBook or sell other people’s products, you can earn a lot of passive income streams through your own website. Blogging and selling other people’s products is basically the starting point as an online entrepreneur. There are millions and billions of affiliate marketplaces around the internet business world, where you can sell ebooks, books, online courses, tools and resources, tangible products – absolutely anything. To acquire your own website is like acquiring a real estate property in a virtual world. It is your very own workplace, wherein you can work anywhere that suits you. The best way to earn a consistent profit with your blog is to refer to affiliate with digital products like ebooks, online courses, online subscriptions like mobile phones and web hosting. If you are serious about getting in online entrepreneurship and you want to start it right without any hassle. I recommend you to join Wealthy Affiliate Education. It is very brilliant because they offer a Starter subscription for FREE – absolutely free wherein you will be going to have access to a step-by-step platform on how to will start to your own blog from the scratch. NOT only that, mentorship and a great community of people will be there to support you all the way towards your success. You can also hire someone to make your website – but this is quite very expensive – Because your blog will up updated every time you write an article. 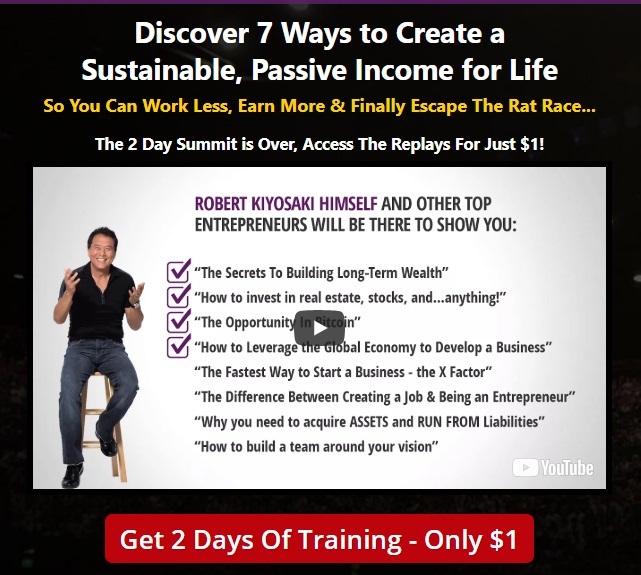 The easiest and effective way to do it is to join Wealthy Affiliate Community and find out how to reach your success inside online entrepreneurship – it’s FREE and everybody has the opportunity to earn while they learn. One great thing about owning a website, it that you can sell it to someone else that has the same niche as yours, as your website becomes huge and popular. Here we can talk about around $20,000 to millions. Wow! So keep it up. In our modern world, everybody has a smartphone, tablet, iPad, and laptop. Oh yes, even children as early as they can start to write and read. That means everyone uses an APP. If you, for example, buy a smartphone, you will notice that there are pre-installed apps on it. And the opportunity of earning passive income with Apps is very huge. Building your own app is very easy today as long as you have the right tools. 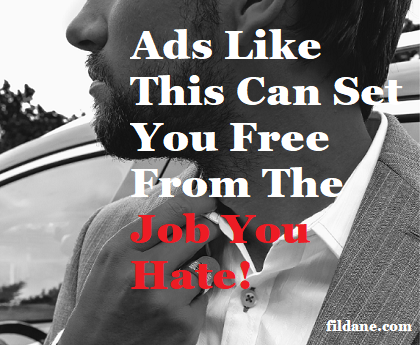 This is like building your own website and making traffic and get paid with Ads. You can also make an App that can give you the best passive income streams month after month through paid subscriptions or be selling programs on your app. Again you need your own website to promote and engage to as many people as possible to market your app. Here are the keys on how to create the most profitable app. You need to come up with a mainstream product, which is a product that everyone knows. Or if they do not know, these are the products that just take you a minute to explain and they will GET IT. Do you have any idea or example of a mainstream product? These are the product that you can also develop and come up with some new related to your mainstream product. For example a fitness program – wherein you can easily release a new exercise program on the same platform. 3. Product with Natural growth. Online marketing is always recommendable. However, there are a lot of products in the market that does not have natural growth, which means the product will die eventually die or will be out of circulation. It is basically a normal business life cycle but you need to come out with a mainstream product that can circulate on a long-term basis. The example of these products are the ones with monthly or yearly subscriptions, where people intend to use or consume those products or services again and again. Social media like Facebook, Twitter, Instagram or games apps are the best examples. 5. Product with massive profit windfall. Windfall is the way of getting a big profit by selling your app for a huge amount of money – like millions and billions of dollar$$$$. Like Instagram was sold for a Billion. There are very few internet marketers who have successfully reached this part. There is no proven strategy on getting on this top part of the app business. If you are going around with this dream and do not know how and where to start, I can recommend taking a look at APP$PORTUNITY – wherein you will get to know “How To Start An App Business With No Programming Knowledge Or Whatsoever – Earn Daily Income From Millions Of App Users Worldwide.“ This could be the opportunity you have been waiting for your success and financial freedom. Great news! They have 98% discount promo today – so you can get it is almost free. I hope you enjoyed the article. 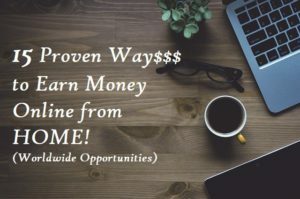 If you have any other tips on the best passive income streams online, you can write them down on the comment box and I will be grateful to hear from you. Good luck with your journey to financial freedom and God bless. Psst! 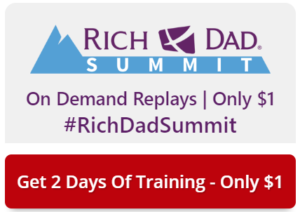 do you want to attend a 2-day training with one of my favorite mentors? This is your chance for just $1. Yes, that’s right – only $1. A lot of great information right here. Enjoyable and informative, 5 stars. Being a Wealthy Affiliate member, not only gives one the opportunity but also the tools and education to make the best of that opportunity. You did well here. Nice one. Number two is basically affiliate marketing and it’s my favorite way to make money online. I’ve never tried writing my own book and publishing it. Maybe one day! And creating an APP. Never heard about it. Learned a ton about it from you. Thanks Carl. Have a great Day.